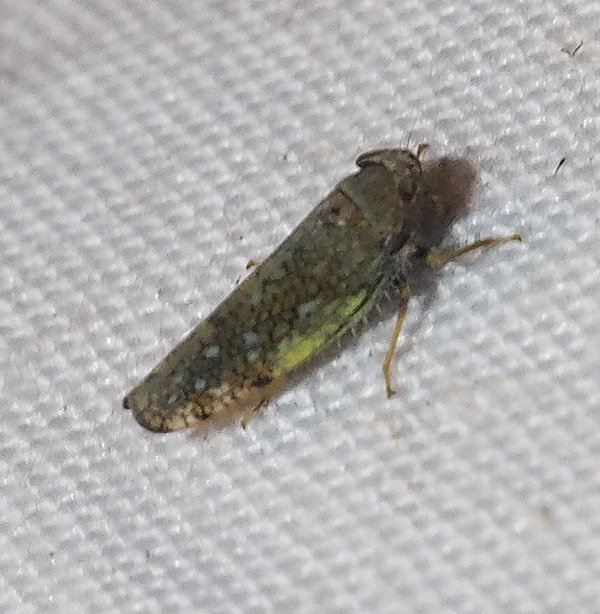 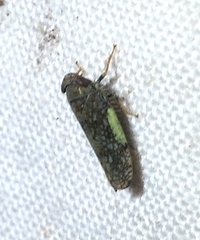 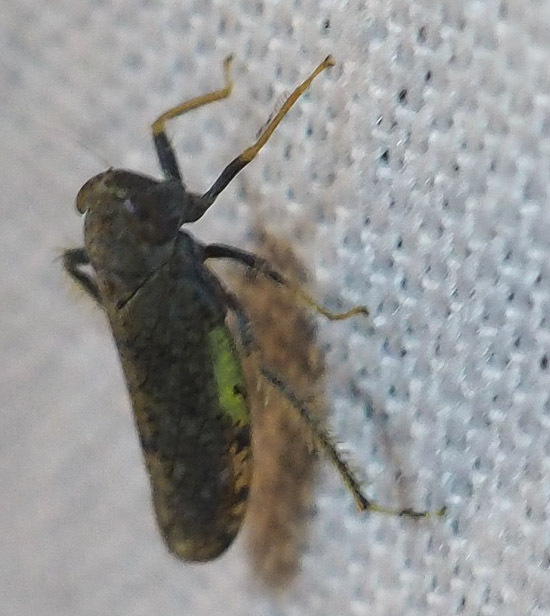 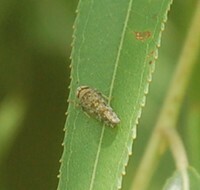 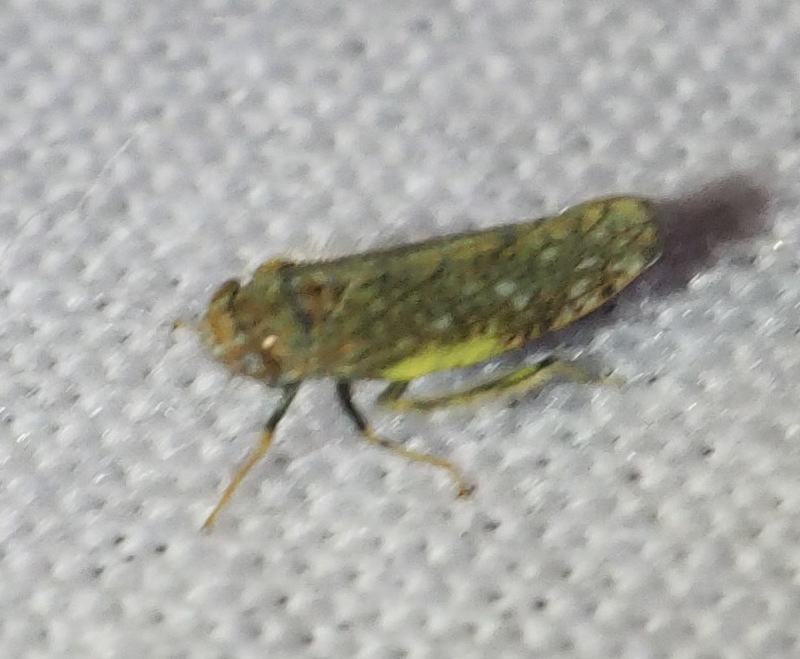 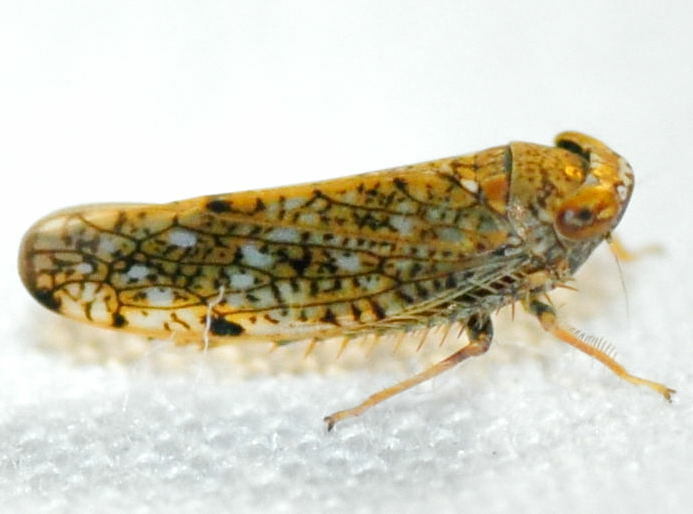 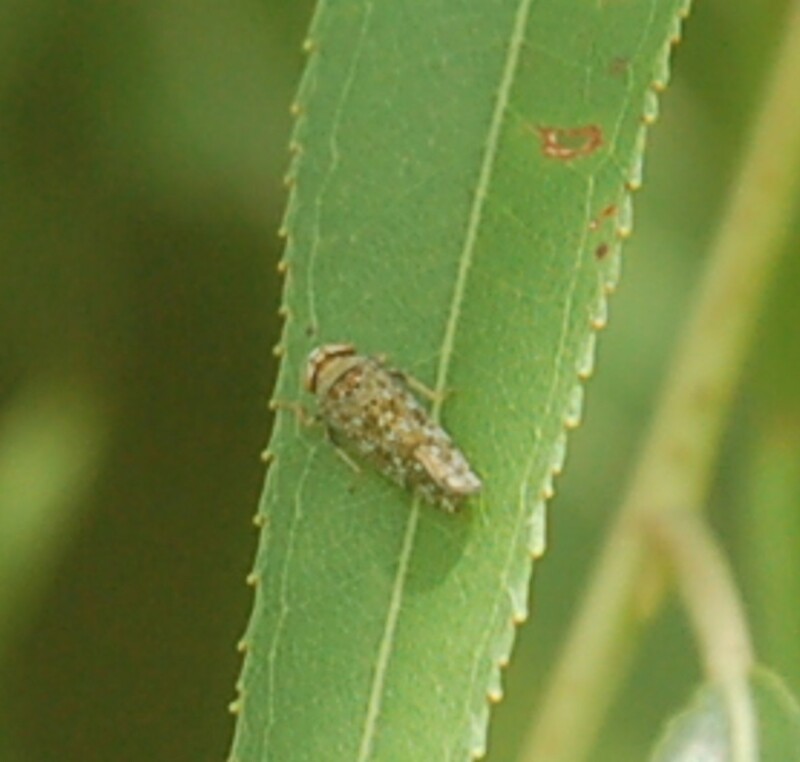 Description: A very distinctively marked and colored leafhopper, 4.3-6.5 mm in length. 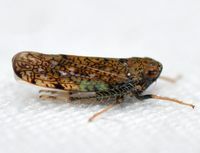 This species has an orange checkered appearance, with orange markings on the body and back amid black and white marks; the amount of orange can vary among individuals, with some mostly orange and others only partially orange. On the head there is an orange band extending between the eyes, followed by a white band at the edge before the head slopes downwards. The eyes can also be orange, and the legs are mostly orange except for a black base near the body. 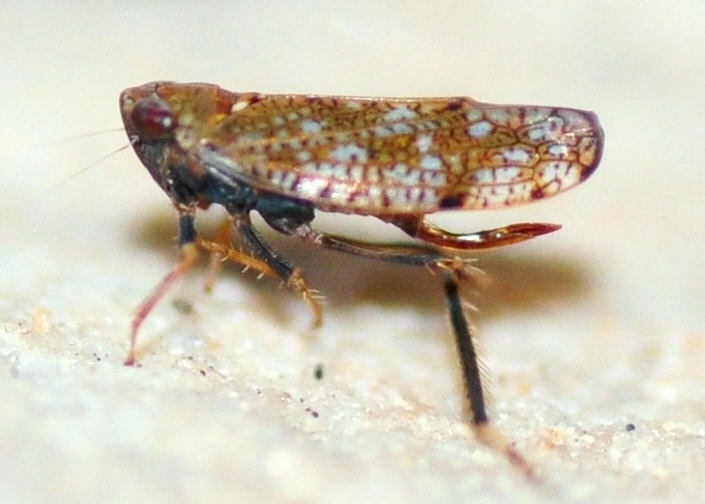 Nymphs are tan, yellow, or reddish in color, sometimes boldly marked, with a narrow head and elongate antennae and contrastingly white feet, characteristic of this species (BG). 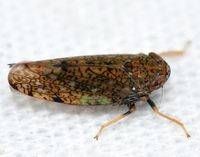 Distribution: Native to eastern Asia, first recorded in the U.S. in New Jersey in 1919 and now widespread throughout North America, especially in the East (BG). 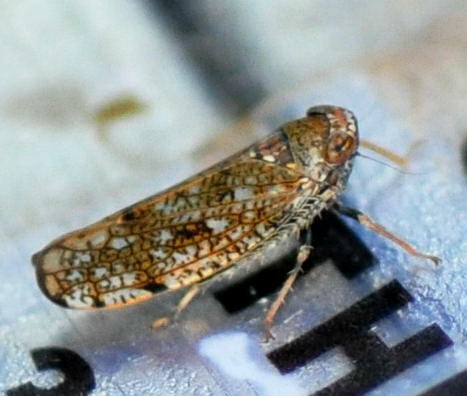 Abundance: Scattered records across the state with a majority in the Piedmont; likely more abundant in the right habitat. 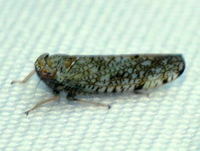 Habitats: Hardwood and mixed forests, forest edges/clearings, meadows and other grassy areas (BG). 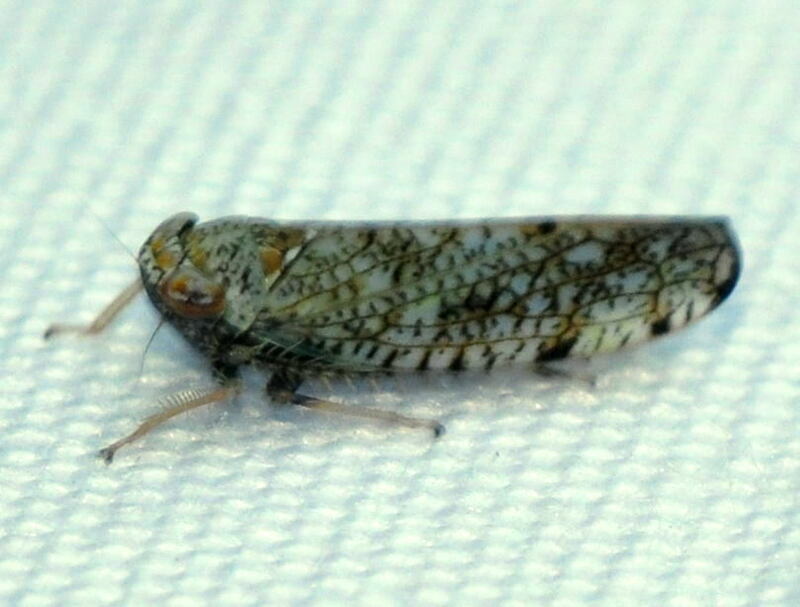 Comment: This species causes a characteristic brown blotching with a bright yellow margin that merges with the green part of the leaf on affected plants (OI).